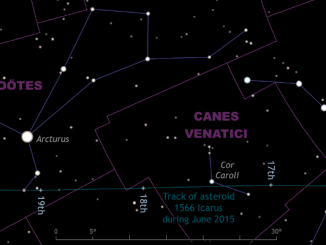 On a collision course with Earth, a 2-meter-wide (six-foot-wide) asteroid was detected 2 June by the NASA-funded Catalina Sky Survey near Tucson, Arizona, just hours before impact in the atmosphere. With little tracking data to work with – the body was as close as the Moon when it was first detected – researchers predicted the boulder would hit the atmosphere somewhere along a path stretching from South Africa across the Indian Ocean to New Guinea. Early that evening, at 16:44 UTC, witnesses reported a brilliant fireball above Botswana, Africa, that matched up with the predicted trajectory. 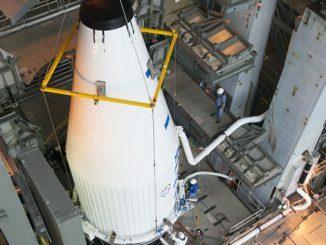 Later calculations showed the rock, dubbed 2018 LA, hit the top of the discernible atmosphere at a blistering 17 kilometres per second (38,000 mph) and broke apart several miles above the surface. The event was witnessed by multiple observers and caught in a webcam video. 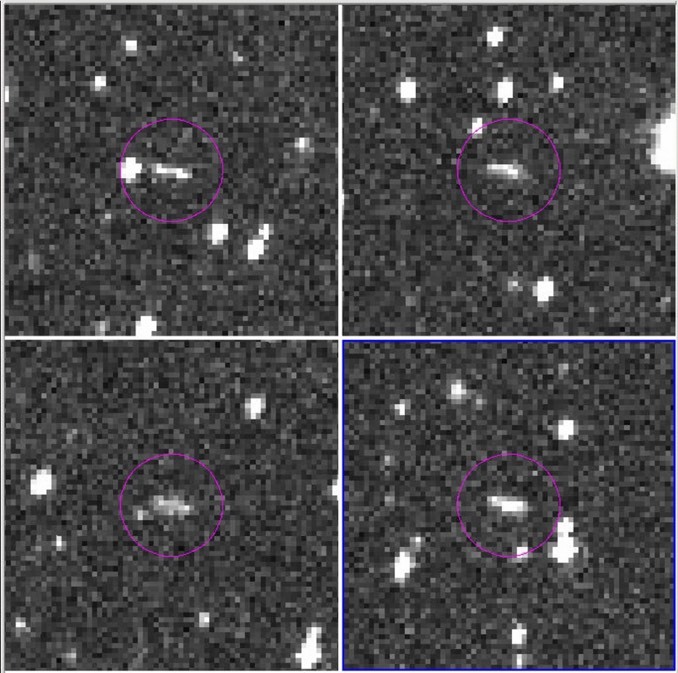 As with all such observations, the object was catalogued by the Minor Planet Center in Cambridge, Massachusetts, which determined the possibility of an impact. 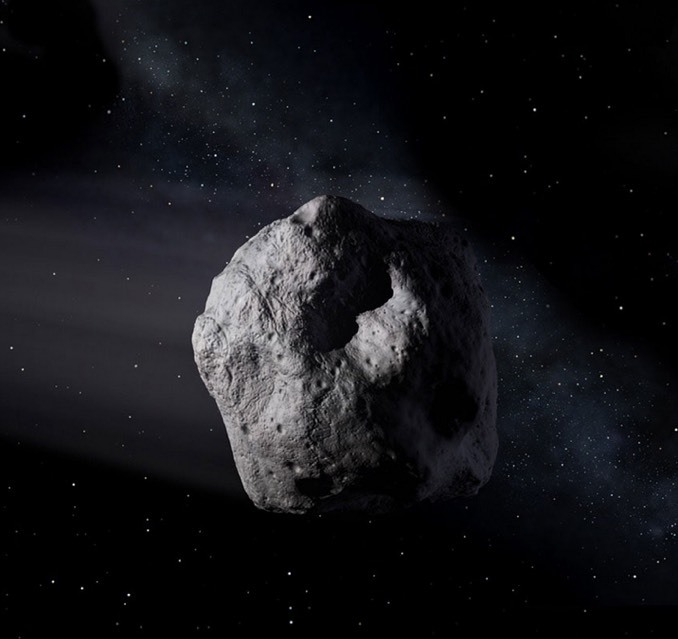 Those data were passed along to the Center for Near-Earth Object Studies where an automated program known as Scout confirmed the impact trajectory. Additional analysis showed the asteroid posed no threat to Earth and no additional alerts were issued. But in a nice bit of detective work, two additional observations were obtained by the ATLAS asteroid survey that were used by the Scout system to narrow down the predicted impact points in southern Africa. The International Monitoring System of the Comprehensive Nuclear-Test-Ban Treaty then picked up infrasound data just after the event that was consistent with an impact over Botswana. As shooting-star devotees prepare for the naked-eye spectacle of the Geminid meteor shower in mid-December, owners of small telescopes can also witness the close passage of the meteors’ parent body — a curious “rock comet” known as 3200 Phaethon, galloping through the constellations of Auriga, Perseus, Andromeda, Pisces and Pegasus at a rate of up to 15 degrees/day. 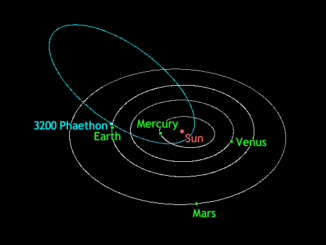 For over half a century, Apollo asteroid 1566 Icarus held the record for the minor planet that passed closest to the Sun. From 16th-22nd June you can see this one-kilometre-wide space rock in backyard telescopes as it makes its closest pass to our planet until 2090.